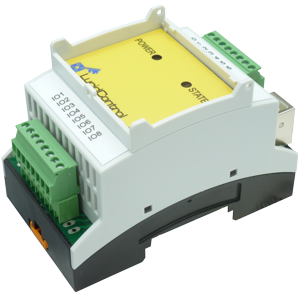 LucidControl Relay Modules is the unique product series for monitoring and controlling analog and digital signals. LucidControl USB IO Modules are compatible with the popular Raspberry Pi mini sized computers. In order to provide easy integration, the Plug-and Play USB IO Modules work with Windows and Linux. 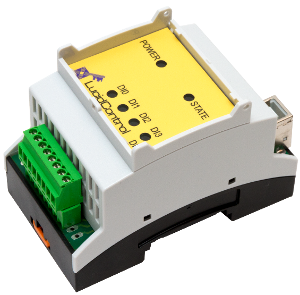 The Relay Module as one member of the LucidControl USB IO Module Series provides 4 Single Pole Double Throw (SPDT) relays. 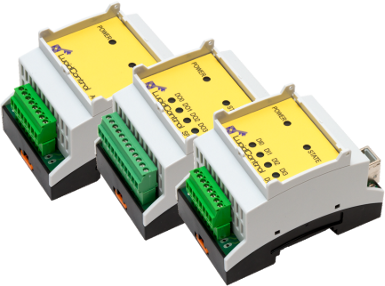 These outputs allows to control power loads as well as to manage signals. 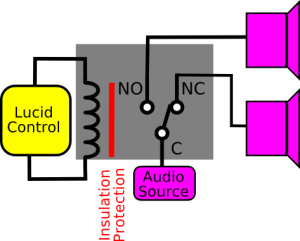 Open Collector outputs are realized by using MOS-FET transistors. The advantage of Open Collector outputs is the fast switching cycle which enables them to dim LEDs where fast on off cycles are needed in order to avoid flickering. For controlling power consumers Solid State Relays are first choice also because of their ability to generate pulse-width-modulation (PWM) and their strong protection. Open Collector outputs are the best solution for lightning dimming. 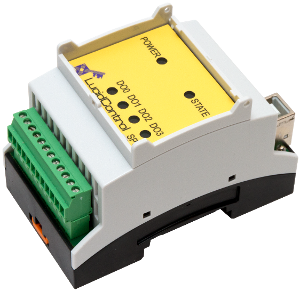 And what are the advantages of the Relay Module? The Relay Module is based on mechanical SPDT Relays which can be used for various purposes. Since it is based on mechanical relays, the outputs behave like standard switches. In contradiction to the Open Collector Option or the Solid State Relay Option, the USB Relay Module provides mechanical SPDT relay switches instead of semiconductors like transistors. Beside of the ability of switching power loads, the Relay Module is also able to control signal lines like temperature sensors and audio lines without distortion.